This is a business design project that customized a design service agency and its branding strategy, in collaboration with Sophie Shao and Linda Lai. Illume is a Mixed Reality Design Studio that design immersive training learning simulation experience with customized tools that trainees could practice at home. 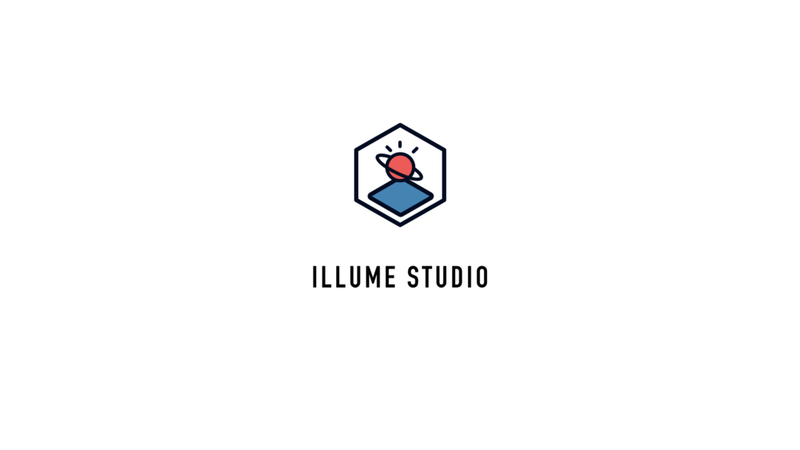 Illume is a mixed reality design studio. The goal is to design immersive training experience with AR+VR and customized models for companies who need to train through simulation. Our mission is to empower people with knowledge and technology without barriers. We are aware of the importance of the simultaneous training in both brain and muscle, but the existing training system or educational technology don’t exactly meet our learning needs. Our clients come from an educational institution like a medical school, architecture school or organizations need to train through simulation. It will save tons of materials during the training process. through simulations. The trainees have broad access to training resources through mixed reality regardless of their geographic locations. The learning experience is immersive and efficient for the trainees. And they can practice as much as they need without worrying about the time limit. With our platform, both the organization and users can track their practice and change their schedules accordingly. 1. Collaborate with our clients to understand the users, training challenges and traditional learning structure. 2. Transform the traditional curriculum into the new learning structure, and build UX flow. 3. Sketch the simplified physical control panel and prototype physical tool; design the training scenario and visualize through filming, VR or AR. 4. Develop service system through testing the prototype, and bringing digital and physical experience together smoothly. Here is a case we have done before. SF Medical School wants to teach their doctors to use the robotic arm for operating surgery. The Robotic arm allows doctors to perform many types of complex procedures with more precision, flexibility and control. We started with studying the basic procedure of robotic surgery and reviewed the curriculum with teachers and students. We then studied the structure of the controller and built the 3D model out of it. And we visualized training experience through filming. Finally with our printed controller and training system, the doctors can practice anywhere as many times as they want.